Mia Coley says ‘ allien,s are not real, they are just made up in your imagination’ . Damilola Komolafe says I don’t think they are real because no one has seen any. 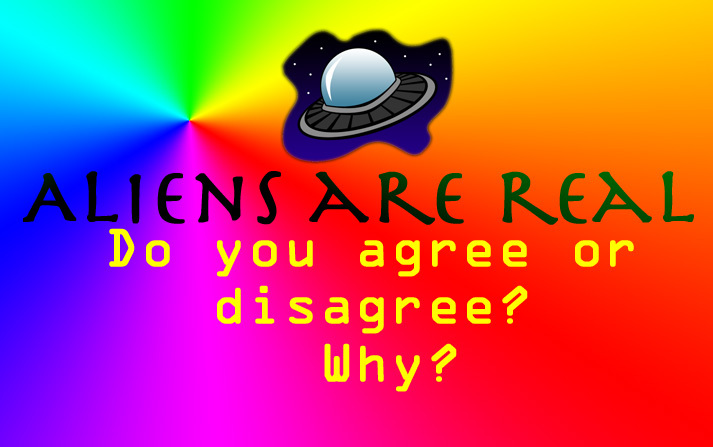 I don’t think aliens are real because in stories they’re normally mean. If they were real, they might have destroyed Earth by now.